Consumers now have more choice than ever before when it comes to financing. The best bank loan option you can find will depend on several factors, and the more rigid you are with these factors the more you will limit your bank loan options. If you have decided that a bank loan is the right choice, as opposed to the many internet only lenders, then you will still have a variety of loan types to choose from. Why Choose a Bank Loan? 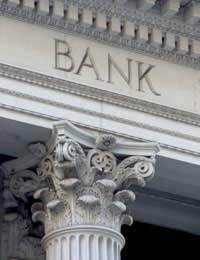 When it comes to loans most people will, at one time or another, have approached their own bank branch. It may be the case that customers have used their own banks to buy other financial packages and services, such as investments, mortgages, and insurance policies. For some people dealing with the same financial institution is familiar and safe, and they will know exactly what they are getting. Customers can miss out on some great loan deals by relying on the same lenders. Checking out individual lenders online is simple and can unearth some low interest rate loans not available through the high street banks. But remember that there are banks that operate online only, and with lower overheads you may find better deals by conducting some simple research. How quickly you need the money. Whether the loan is to be secured or unsecured. What the loan is actually to be used for. The actual amount of the loan. The length of loan period you feel comfortable with. Whether you wish to choose your regular lender or shop around. The debt commitments you have at present. Most customers do want to find the best deal, and most would rather shop around if it means that they will save money on their loans. The competitive lending market means that saving money is usually more important to customers than loyalty to one bank. But if you do want to only deal with your own bank then try haggling to get the best deal. If you can show to your own bank branch that you can find a much better loan deal elsewhere, and you have a good customer record, they may well try and match the best alternative loan deal. Banks do have a variety of loans on offer, and these can include flexible loans, long term loans, zero or low interest loans, and secured or unsecured loans. Choosing your best loan option will come down to the factors mentioned above. If you want a zero interest loan with a short repayment period then go for a zero interest rate loan. If you would need to borrow a lot of money with low repayments then a long term loan may be your best option. Your credit history will be a big factor in how limited your bank loan options will be. A poor or very poor credit rating will mean that a lot of loan options will not be offered, and to lenders poor and very poor credit ratings are actually no different. A good credit history may mean that you should have your choice of the best loans, but it does not mean you should be tempted to go loan crazy. Other factors including present debt commitments and salary will have a bearing on the loans offered. At times, banks can offer the best loan options, but the wise borrower knows that shopping around is one option that should not be forgotten. Shopping around might not guarantee a lower rate of interest than offered by your own bank branch; but it is always better to be safe than sorry.